Download and listen to free music. Download Music Paradise Pro app for android. Music Paradise Pro lets you download favorite music from YouTube and other sites with MP3 files. 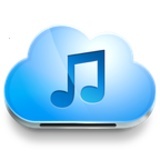 MP is well known music downloader which has intuitive interface, very easy to use for most users. MPP is a free music downloader with millions of songs available. You just need to perform a search and Music Paradise Pro looks through variety of search engines to find desired song. Create your own music library, in which you can add as many as you want songs, rename them and listen with the built in music player. Ofcourse you can use another music player app for playing downloaded songs. Another cool feature is the notification of duplicate downloads, which the app detects and in the end saves you space on your Android device. You can also make a ringtone from downloaded music file. You should have in mind the application lets you download to free music that's completely free of charge. This means that original songs from major commercial artist may not be available for download, just for streaming. But it is great for discovering new music from emerging artists, listening to tons of classical music or royalty free songs. There is nice review of Music Paradise Pro on Wanderglobe. What is Music Paradise Pro? You can browse media content about Music Paradise Pro on Pinterest, where great images are added every day. Watch how to install and use Music Paradise Pro videos on YouTube. You can also look for Music Paradise Pro app on Amazon Appstore.